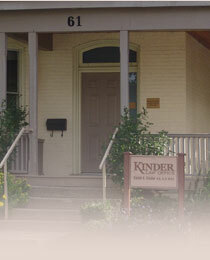 When a dispute arises, Kinder Law Office provides sound advice, effective strategies, and experienced advocacy on behalf of our clients, with a focus on their needs and goals, in order to achieve a resolution that is best suited for their specific situation and which makes the most efficient use of time and money. Although our first priority is to help our clients avoid a prolonged conflict by sorting out the issues arising from a dispute and reaching a settlement through vigorous negotiations with all parties involved, it may be necessary to consider other options. In such cases, we can apply careful and creative consideration of the costs and benefits of utilizing other conventional approaches and strategies, such as arbitration, mediation, other forms of alternative dispute resolution, and pursuing court action. If court action is required, we can assist with initiating or defending against all types of civil litigation, including working on Small Claims Court actions and settlements. 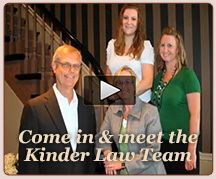 Contact Kinder Law Office for advice, strategies and advocacy to resolve your dispute.